SPOT 127 hires talented high school students to report on stories for the program's website and KJZZ, Phoenix's NPR member station. 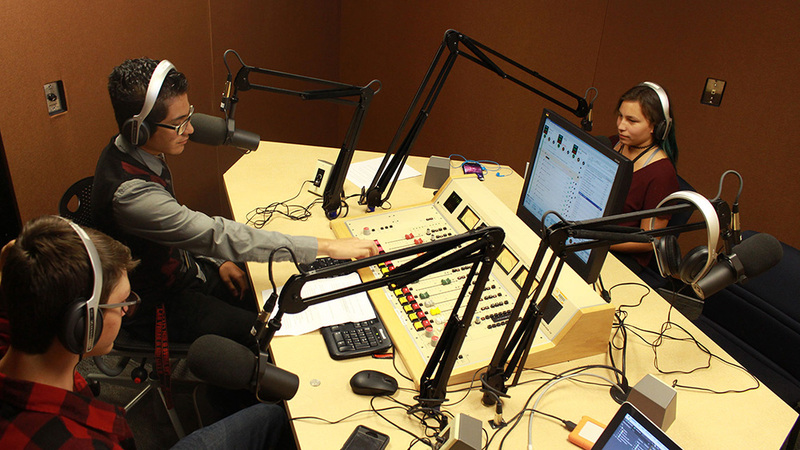 Production assistants are responsible for reporting and producing audio and multimedia news and feature stories for SPOT 127's website and social media channels, and pitching those stories to KJZZ, Phoenix's NPR affiliate. Other duties include mentoring fellow students in SPOT 127's programs, helping conduct multimedia workshops and assisting SPOT 127 staff. The paid positions are for high school students who are at least age 16, have participated in a SPOT 127 program for at least one semester and have completed at least one audio and video package at SPOT 127. Student employees work up to 10 hours per week. Occasional weekend hours may also be assigned. Production assistants are generally hired over the summer. Jobs will be posted on this page as they open. We welcome adults and college students with media experience to volunteer in the classroom. We also accept volunteers at SPOT 127 events. Click to apply for volunteer opportunties.